As much as Cindy and I LOVE the new JL Wrangler Rubicon raised fenders look and how they provide much bigger openings for larger tires, there is one thing about them that we’re starting to find pretty damn annoying. 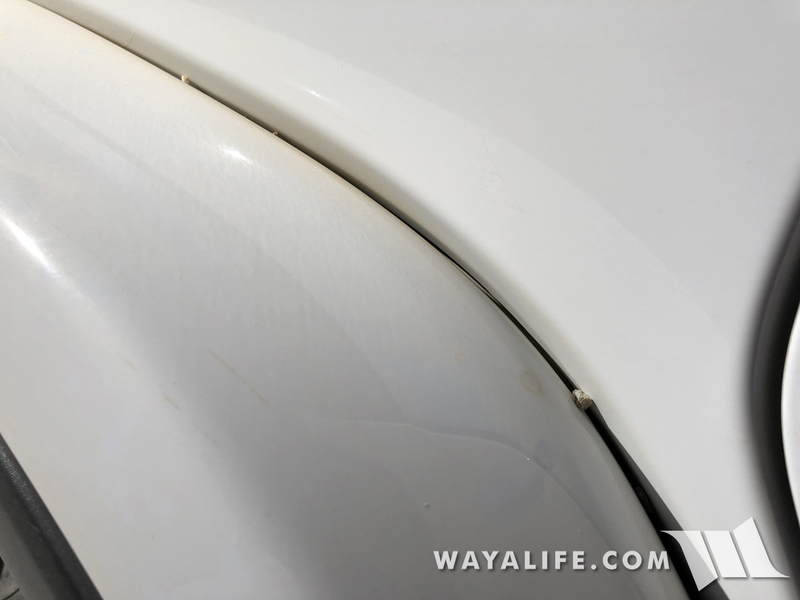 If you spend any time driving hard and fast across a sandy desert wash, you’ll soon find that the gap between the fender and the body will start filling in with small rocks. Yes, I say “rocks” because they’re way bigger than grains of sand and if you leave them in long enough, they start to dig into the paint. Here’s a couple of shots to show you what I’m talking about. Here’s another shot of me pointing at a larger rock to give it scale. We have been able to clear them out by pushing down on the fenders just a bit and swiping them out using a credit card. Hmmm, why does that somehow sound familiar? Anyway, just thought I’d share this tidbit of info for those of you who might be interested in knowing what we’ve been finding out. 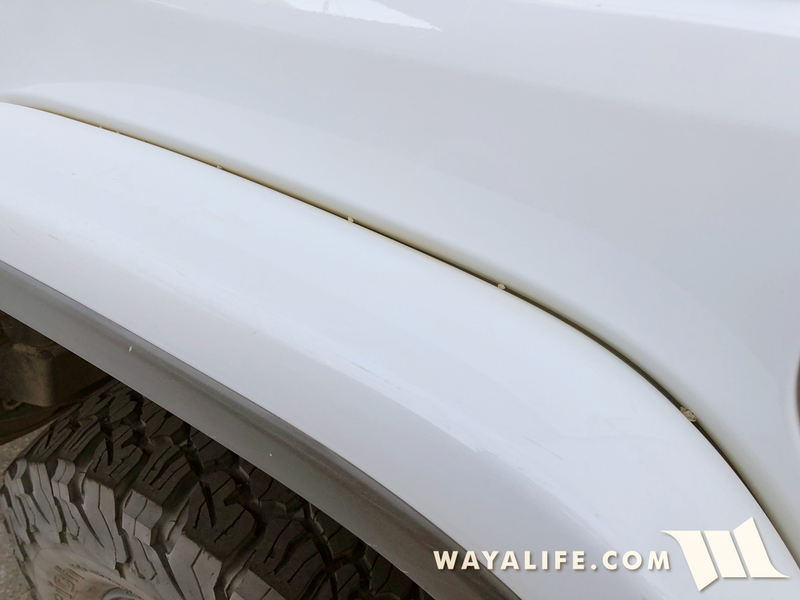 3 Comments on "JL Wrangler Rubicon Fender Gaps Filling Up with Rocks"
Maybe try filling the gap with silicone? Considered it but don’t want anything so permanent. There are welts made for classic cars and I might try something like that. I noticed that right away when i saw the first Rubicon on a dealers lot. 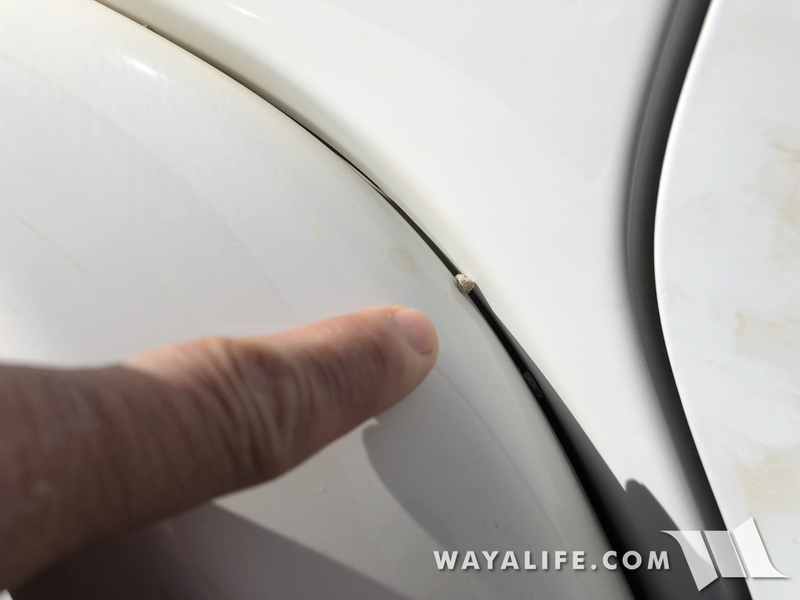 Hopefully the Jeep guys will pay attention an fix this down the road.